How far offshore can you be and still get satellite reception? 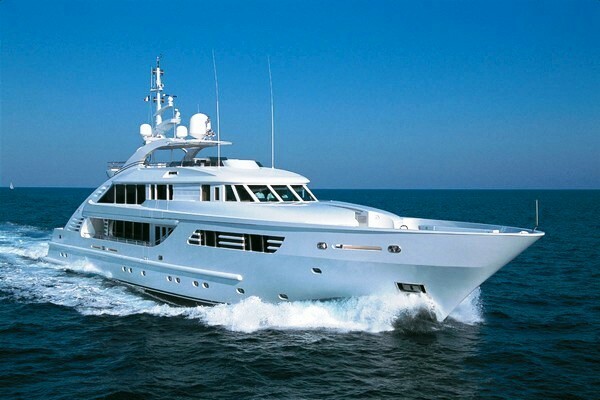 By now you probably know that you can get satellite TV on your yacht if you want. Of course the challenge for most of us would be getting that yacht in the first place, but that’s another story. Let’s say for a moment that you’re doing ok in life, that you have a small cabin cruiser and you want to take it out to sea for a while. Sounds great, right? If you’re thinking about a life at sea, you may be wondering if that satellite TV purchase is worth the money. After all, satellite TV for marine applications isn’t cheap, so one of the things you’re probably asking yourself is whether or not you’d actually be able to get coverage while out there. In many cases, the answer is yes. Satellite TV is designed for land-based reception, but the beams that come down from the satellite don’t just stop right at the shore. That would be pretty difficult and expensive to achieve. In fact you can get satellite TV in a lot of offshore locations that you wouldn’t expect. While I am pretty sure it’s not legal, I’m equally sure that folks in Havana can get Miami locals. It really varies from point to point but it’s pretty safe to say that you can usually get satellite TV service within 50 miles of shore. Sometimes you can get much further, as for example much of the Caribbean is covered by DIRECTV and DISH. If you truly do plan a trans-ocean trip, and I know most of us never will, there will come a point where you lose satellite TV service. There just isn’t any service out there and there won’t be anything until you get to the other coast. At that point you’ll need different satellite equipment for the most part. For people with small cabin cruisers who just want to watch a little satellite TV, luckily though… you won’t have to worry about losing reception just because you lose sight of shore. Should you replace old splitters? Is a Satellite Dish an Antenna? “No servers were detected” on your Genie Client. What can you do?